Two years ago I bought a steel On One Inbred frame and built it into an all mountain-style hardtail using parts off my Stumpjumper. It was a great bike – similar geometry to my long travel full suspension rig, but with a sprightly playfulness not present there. 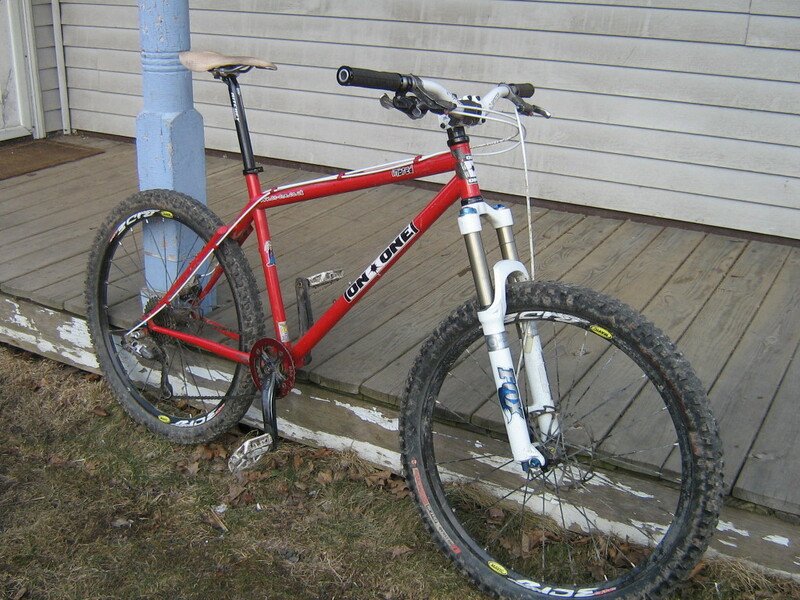 It had a 140mm Fox Float, 1×9 X.9 drivetrain with Mavic wheels, a short stem and a wide bar. It was a candy cane red and white and weighed just over 27lbs. Not too shabby for a parts bin build. I enjoyed it immensely for days when I didn’t want to lug around the extra heft of my fully. I say “enjoyed” (past tense) because on my second day living in California, an active member of the scum of the Earth club stole it off the back of my car while I was looking for apartments. I filed a police report, but as most are surely aware those rarely go anywhere and finding stolen bikes falls slightly below ticketing jaywalkers on most precincts’ priority lists. Such is life. So began the quest to find another one. 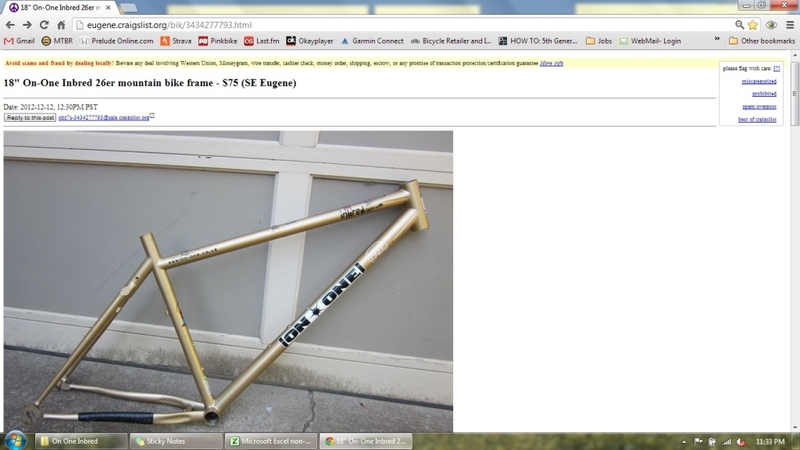 I sourced an 18″ frame on craigslist in Oregon for $75 and the seller agreed to ship it. It was in rough shape but I was OK with that. I had secretly hatched a plan for some custom additions. The frame I bought had the cable guides ground off – I’m not sure why. I also wanted to add ISCG tabs for a proper chainguide, and remove the fender/rack mounts. My friend Paul welds BMX frames for a small company in the Binghamton area so I ordered parts from Paragon Machine Works and he offered to do the work for me.